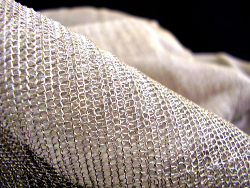 Shiny fabric made of pure stainless steel. Very flexible, drapable and ladderproof. 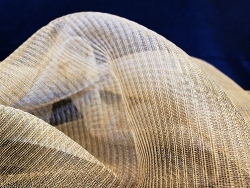 It can be used for curtains, panels, upholstery, ceilings, chairs, outdoor. 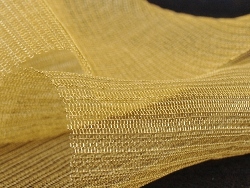 This fabric made of 100% brass wire has the same color of gold. It is soft, drapable and conformable. It can be used for curtains, panels, upholstery, ceilings, chairs. 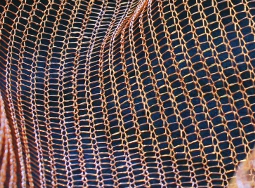 Fabric made of pure copper wire. 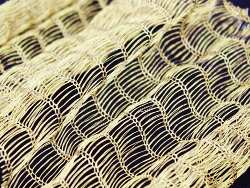 It can be used for curtains, panels, sofas, armchairs, chairs. Copper is coated, so it does not darken with age. Dream31 steel is entirely made of stainless steel. 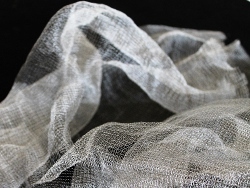 Very soft to the touch and very versatile, it can be used for curtains and sheers, laminated in glass or acrylic or used for panels. 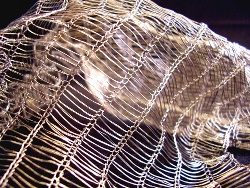 Dream31 brass is a fabric in 100% pure brass wire. Its golden color is elegant and bright. Dream31 brass is perfect for sophisticated spaces that demand class and originality. 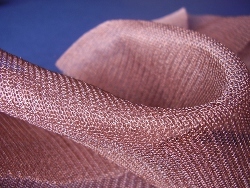 Dream31 copper is a fabric in 100% coated copper wire. The size of its openings is in between Dream11 and Dream71. Its copper color is warm and bright and it creates iridescent effects when light hits its surface. 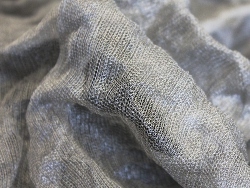 Shiny fabric made of pure stainless steel. Very flexible, drapable and comformable. It can be used for curtains, panels, upholstery, ceilings, chairs. 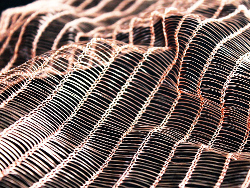 Fabric made of pure copper wire. 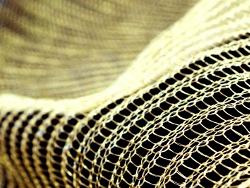 It can be used for curtains, panels, sofas, armchairs, chairs. 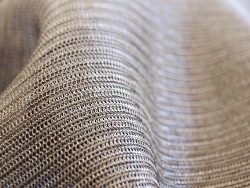 This metal fabric has the same color of Champagne, with pale yellow glares. It is very flexible, transparent, drapable and ladderproof. 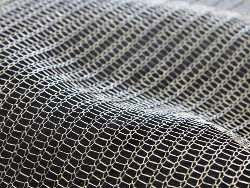 Tarrot is our most chosen and peculiar fabric. 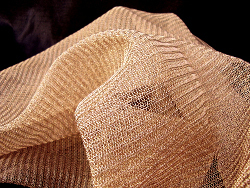 Its three noble materials, stainless steel, brass and copper knitted together give Tarrot a beautiful iridescent color. Embossed fabric with astonishing threedimensional effects.Suitable for curtains, ceilings, panels. Shiny fabric made of pure stainless steel AISI304. Very flexible, drapable and ladderproof. It can be used for curtains, panels, upholstery, ceilings, chairs. 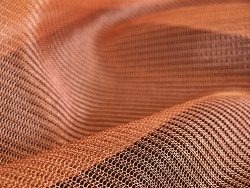 Very fine stainless steel and copper fabric that is soft and drapable. It can be coupled with leather and embossed. Good for fashion accessories and interior design. One side of the Double Face fabric is stainless steel, while the other one is black polyester. It can be used for curtains, panels, sofas, chairs, fashion. 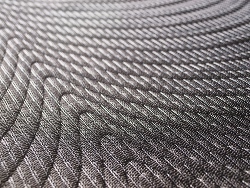 Stretchable stainless steel fabric. Very light and adaptable to complex shapes. It can be used for curtains, panels, sheers, ceilings, fashion accessories. 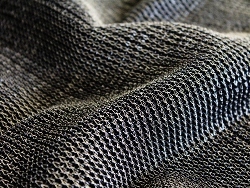 Extremely soft stainless steel fabric knitted with hairline steel fibers. Warm to the touch, it is shiny and soft like silk.